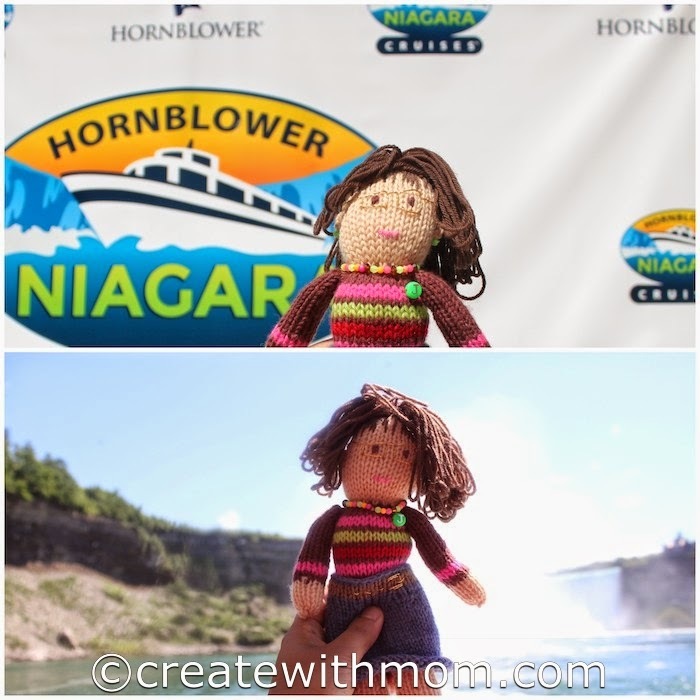 Jane Bull, DK’s Craft Guru who resides in the UK wanted to do a special author tour of Canada. 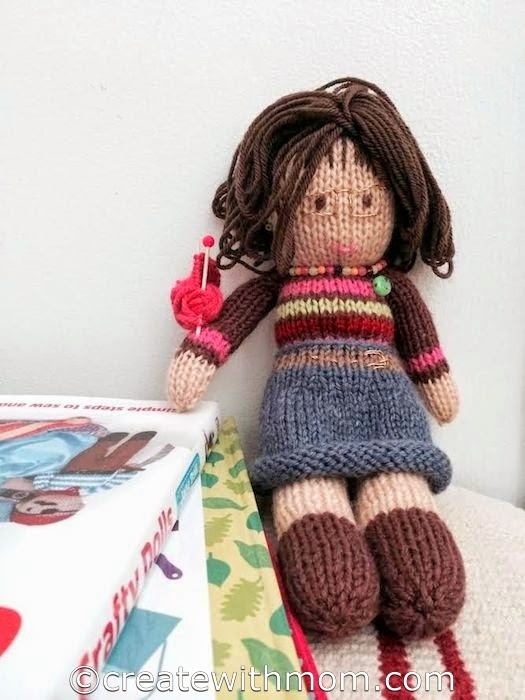 Instead of coming in person she sent the doll she made of herself from the Crafty Dolls cover. My family and I had the pleasure of hosting "Jane" for a week and taking her around town. 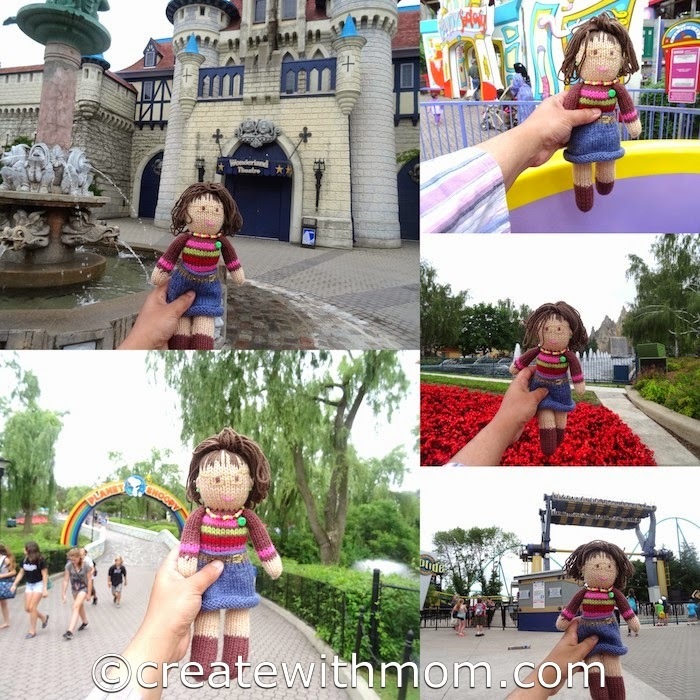 We took Jane to a few landmarks in Ontario like Canada's Wonderland, Niagara Falls, to parks and more, to show her the beauty of our land. Jane will be heading over to other destinations in Canada before leaving to UK. Check out the pictures we took of Jane at the destinations. Jane Bull has her new book, Crafty Dolls coming out in July. This is Jane’s second book for adults after her wonderful Crafty Creatures book. Jane is well known for her fabulous array of children’s craft books such as stitch-by-stitch. Some of her books are 30% off at the Jane Bull Boutique for a limited time. 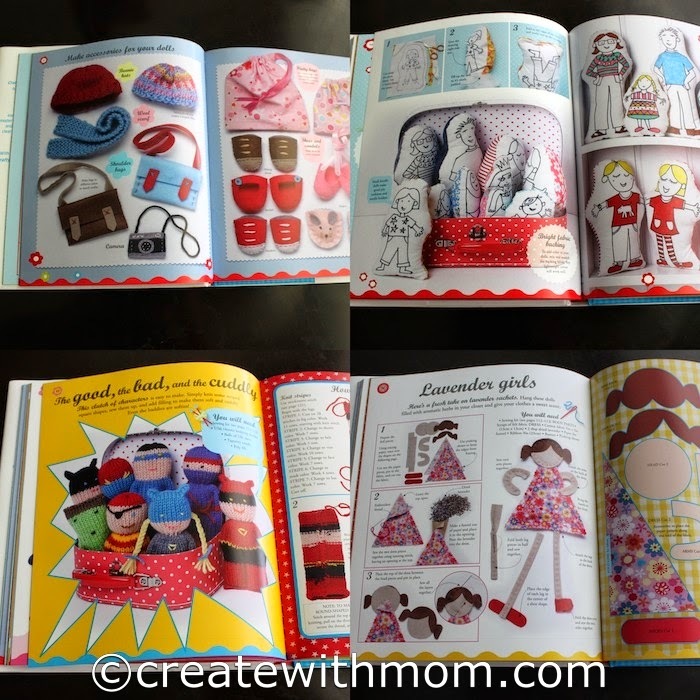 On a rainy day when Jane was with us, we did check out her awesome Crafty Dolls book that has more than 30 inspiring ideas on how we can make our own dolls and characters. There are instructions on how to stitch, knit and crochet chain stitch for those new to these skills. I like that there are templates and clear step-by-step instructions with beautiful pictures to guide us. Children and adults alike will enjoy other colourful and detailed books from Jane Bull such as the Outdoor Crafts, or learn to do needle craft projects from her Made by Me book. That doll is adorable! I would love to make one for my niece. Jane must be very happy after the tours; I've never been to those place and would love to myself. Can I be that doll? lol. Such a cute idea! My kids would love doing this on our next trip! Bailey Dexter What a cute doll, and a nice keepsake. Will have to try this for my daughter! Wow! What a nice adventure jane went on. Awww! what a fun idea! :) Looks like quite the adventure for Jane! This is such an awesome idea, I totally loved it, this is way better than just being a penpal and writing letters, loved the pictures and the souvenirs being sent back!!! That looks so fun. Those are all locations I'd love to visit one day as I'm on the west coast of BC.